PRICE DROP FROM $40,995, PRICED TO MOVE $600 below Kelley Blue Book!, FUEL EFFICIENT 33 MPG Hwy/22 MPG City! CARFAX 1-Owner, BMW Certified. Moonroof, Heated Seats, Nav System, Rear Air, Premium Sound System, Dual Zone A/C, Keyless Start KEY FEATURES INCLUDE Rear Air, Turbocharged, Premium Sound System, Satellite Radio, iPod/MP3 Input, Keyless Start, Dual Zone A/C Sunroof, All Wheel Drive, Onboard Communications System, Aluminum Wheels, Keyless Entry. OPTION PACKAGES TECHNOLOGY PACKAGE Head-Up Display, Navigation System, Remote Services, Advanced Real-Time Traffic Information, BMW Online BMW Apps, Instrument Cluster w/Extended Contents, DRIVER ASSISTANCE PACKAGE Rear View Camera, Park Distance Control, HEATED FRONT SEATS, TRANSMISSION: SPORT AUTOMATIC (STD). 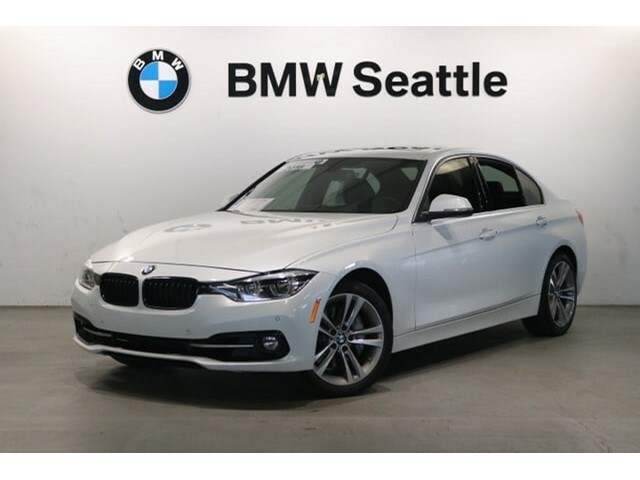 BMW 340i xDrive with Mineral White Metallic exterior and Black Dak Lthr w/ Oyster hglgt interior features a Straight 6 Cylinder Engine with 320 HP at 5500 RPM*. EXPERTS ARE SAYING 'From its sporty driving character to its refined ride and cabin, the 2016 BMW 3 Series is exceptionally well rounded. It's a highly desirable compact luxury sport sedan, and one of our favorites in this class.' -Edmunds.com. Great Gas Mileage: 33 MPG Hwy. PRICED TO MOVE Reduced from $40,995. This 340i xDrive is priced $600 below Kelley Blue Book. SHOP WITH CONFIDENCE Unlimited Miles for 1-Year plus the balance of original new vehicle warranty (4-Year/50,000-Miles), 24-Hour BMW Roadside Assistance, Comprehensive Inspection and Reconditioning, Some of our pre-owned vehicles may have unrepaired safety recalls. Check vinrcl.safercar.gov/vin/, Trip-Interruption Services, Trip-Planning Services Plus sales tax, title and license. A negotiable documentary service fee up to $150 may be added. Price contains all applicable dealer incentives and non-limited factory rebates. You may qualify for additional rebates see dealer for details.